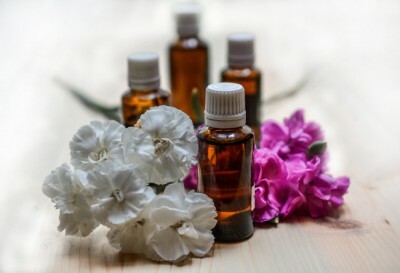 This course is a hands on workshop, so come prepared to formulate your own products and learn the appropriate applications of 20 essential oils through evidence based research. Discover the science behind aromatherapy and how it may be used to support wellness. An overview of aromatherapy, the process of distillation, and information on classifying essential oils’ aromatic chemistry will be presented. In the workshop portion of this course, you will learn about proper dilution, various carriers and form factors with their numerous modes of application. The characteristic properties of different oils and how each can be applied as a therapeutic adjuvant for a particular symptom presentation will be discussed; this is the heart of aromatherapy as a complementary modality. After receiving her B.S. degree in Botany from the University of Florida, Cary Caster, LMT, CA studied Aromatherapy in the UK, where it is still practiced as a medical treatment. She then earned her certification as an Advanced Clinical Aromatherapist with Rhiannon Harris of Essential Oil Resource Consultants in France. Cary received her Massage License from the Florida College of Natural Health and currently sits on the board of the Alliance of International Aromatherapists. 7 CEUs have been approved by the Florida Boards of Acupuncture, Clinical Social Work, Marriage and Family Therapy, Mental Health Counseling, Psychology, and the Florida Council of Dietetics and Nutrition. CE Provider Number: 50-2682. Continuing Education Credit (CEU): This conference has been planned and implemented in accordance with the essential areas and policies of the Florida Board of Nursing for Continuing Education Provider #50-2682.
Credit Designation: 7 CEU’s have been approved by the University of Miami School of Nursing and Health Studies.